Interior designers plan and design spaces for homes, hotels, offices, and other commercial buildings. Most specialize in a certain area, such as residential design, and some have more specific specialties, like kitchen or bathroom design. 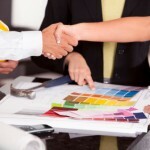 Almost all interior designers have a degree from an interior design school. 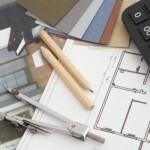 Many also have additional formal interior design training. Few clients, especially commercial ones, are willing to give the responsibility for designing living and working spaces, as well as a huge budget, to a designer with no formal degree. 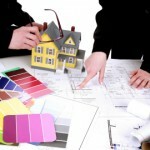 This web site was designed to assist in your interior design school search. Search our network of schools offering interior design classes, degrees, and programs. You can search by state or view a complete list of schools. Request free information from any of the schools listed. There is no cost or obligation.